If you need a stylish wardrobe that works as hard as you do, check out the AW18 womenswear collection from Magee 1866. Renowned globally for innovative fabrics, attention to detail and fine tailoring, Donegal brand Magee 1866 has been designing, weaving and tailoring for 152 years. Known as a go-to brand for some of the world’s best-dressed men, the brand is fast garnering a reputation for its contemporary yet classic womenswear collections, including an ever-expanding range of elegant outerwear and stylish separates that will work hard in your wardrobe and deliver on cost per wear year after year. 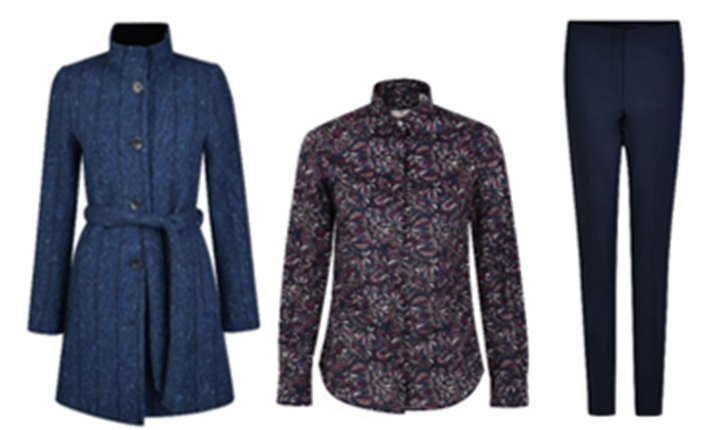 Here are some of the pieces we’re investing in this season. The tailored fit Lily blazer, 425 euro, is made in a navy twill with a subtle cobalt fleck, designed and woven in Donegal, and looks great worn with Magee 1866’s Sandy washed look trousers, 129 euro, in dark navy. They’re crafted from lightweight cotton and stretch fabric with a flat front that sits smoothly at the hips, giving a crisp silhouette. Pair with the blue Alana silk camisole, 135 euro, in gorgeous Liberty butterfly print, for an easy and elegant day-to-night look. The Emma coat, 949 euro, is woven in Donegal with the finest quality wool and cashmere. A timeless investment piece in a contemporary boyfriend fit, it finishes just above the knee and features patch pockets while the Magee 1866 signature Wolfhound logo is embroidered on eco-suede underneath the collar. 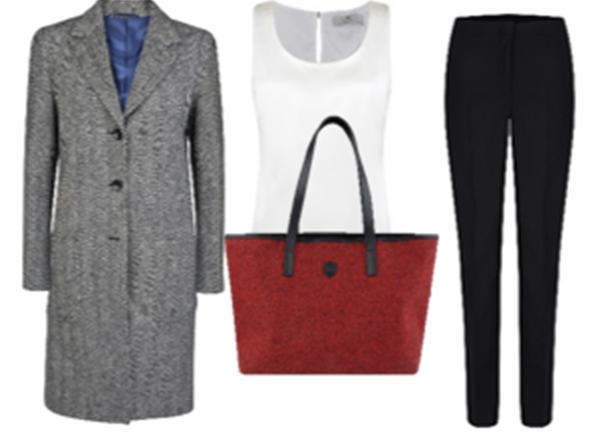 Wear it with the super versatile Darcy silk blouse, 135 euro and Fahan tailored fit trousers, 105 euro, and add a pop of colour with the luxurious red Donegal Tweed and black leather tote, 279 euro, in distinctive salt and pepper tweed designed and woven in the Magee 1866 mill in Donegal. The catwalks were awash with gorgeous checks this season. Pay homage to the trend with this classic Moyne jacket, 565 euro, a boyfriend style tweed jacket in grey and burgundy salt and pepper tweed. 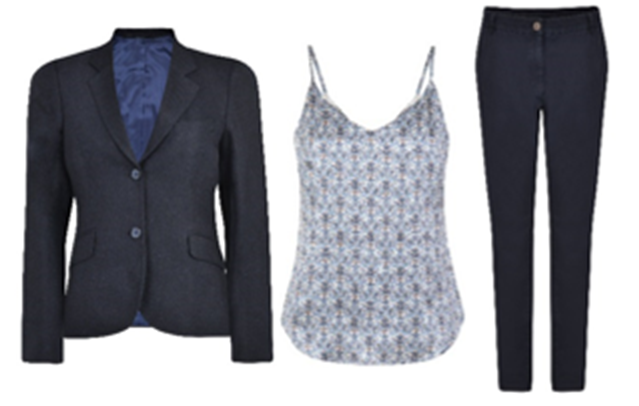 It’s styled here with the matching Carey skirt, 225 euro, and a black silk Darcy blouse, 135 euro. 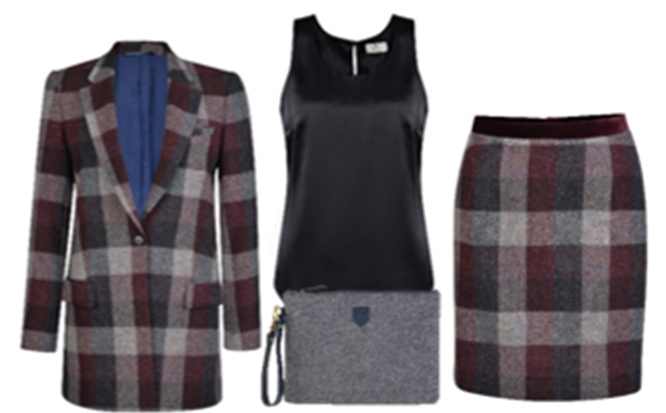 A grey salt and pepper Donegal tweed clutch bag, 125 euro, completes the look. The Owenea, Navy Coat, 499 euro, a classic-fit Nehru collar coat with a set in sleeve, button through front, single welt slant side pockets, and a luxurious velvet inner collar, is a real wardrobe multitasker. We’re wearing it over the Purple Tracy shirt, 139 euro, in 100% Liberty print cotton, teamed with the Black Fahan trousers, 99 euro, a timeless pair of skinny fit tapered dtrousers (also available in navy). London Fashion Week Festival – Catwalk, Trend Alert, and more!